It wasn’t much to look at, but the significance still gave me a thrill. English Portion of a Sign – L’abri Cro-Magnon was discovered in 1868, and for the first time, the remains of anatomically modern humans were found in an archaeological context. 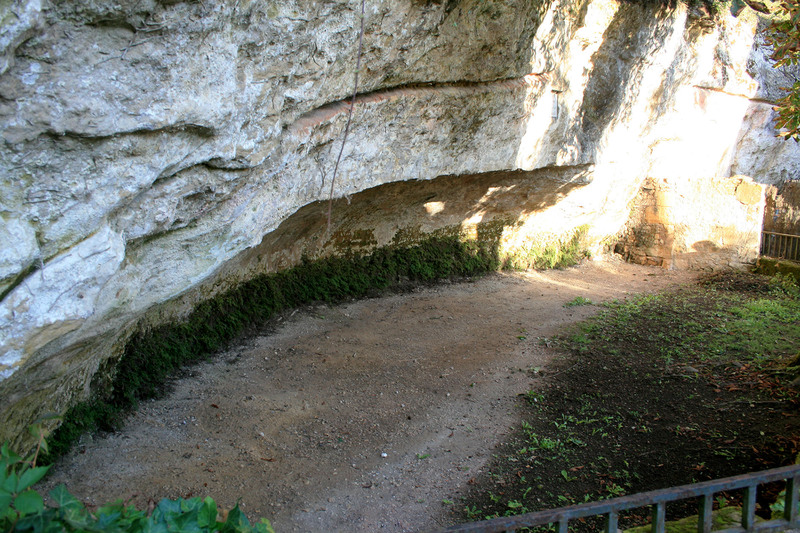 Cro-Magnon man arrived in Perigord around 27,500 years ago. In the absence of well-dated human remains, these fossils constituted one of the first traces of ‘Homo sapiens sapiens’ (us) in France during the Upper Palaeolithic. In Africa, anatomically modern humans are known from nearly 200,000 years ago.